The Groden Center is committed to staying abreast of the latest in ASD research and developments. 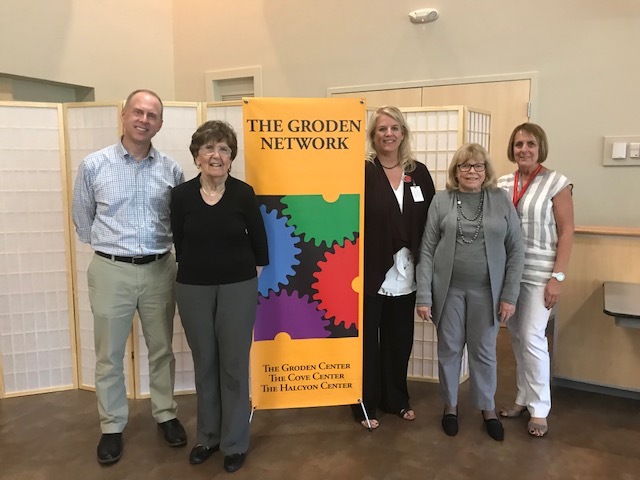 On Thursday, May 23, Dr. Margaret Bauman, an internationally-know pediatric neurologist from the Integrated Center for Child Development in Boston, spoke at a Groden Center staff meeting. Her presentation was fascinating! 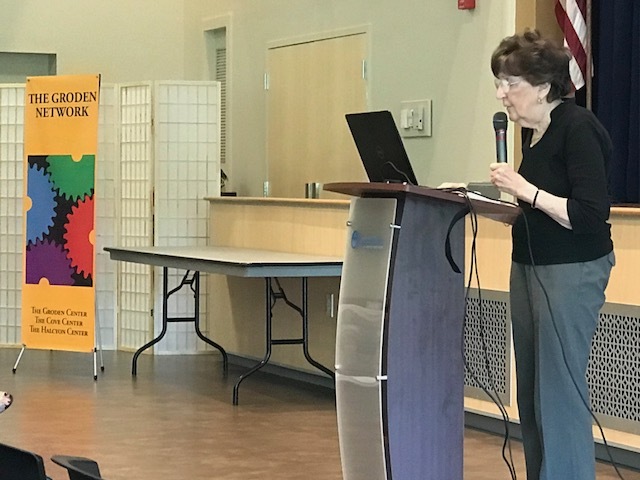 Dr. Bauman spoke about our limited knowledge of what causes this complex disorder and noted the many varied presentations of autism, all of which lead to the need for a multi-disciplinary approach to treatment. While challenging behaviors often accompany a diagnosis of autism, she stressed the often overlooked role of medical and other problems. Constipation, headaches, allergies, pre-menstrual syndrome, sleep problems, ear infections, and urinary tract infections can sometimes be causing the challenging behaviors that are displayed, and should be explored with a variety of medical tests, Dr. Bauman believes. She particularly reported a high prevalence of gastrointestinal disorders in persons with autism. Problems with eating, sleeping, digesting and elimination can all impact behavior and need to be further e xplored Dr. Bauman noted. She also discussed the role of metabolic and mitochondrial disorders, and typical symptoms of these types of issues, which can all impact people with autism. Her take-home message? Medical problems are common and need to be explored fully before assuming a problem is due to other issues. Thank you Dr. Bauman for coming to speak to us!